Welcome to yet another instalment of our hugely popular Questions & Answers blog post series! This week we only had one other article, rather than the usual two. This is because I’m preparing a post on the recent eBay Seller Update and it has turned out to be very long, over 3000 words! Look out for that on Monday as it contains some very important stuff! Anyway, back to business and let’s take a look at some of the questions you sent in during the past week. The best way to list items – BIN VS Auctions? Can you revert back from a business account to a private one? Is this iPhone seller on Alibaba a SCAM? Is it okay to deal with a trading company instead of a manufacturer? How much does a pre-shipment inspection cost? Do Chinese suppliers provide any product warranty? Achieving TRS status on European eBay sites! First of all congrats on the blog in general and the great advice contained within. 1. I’ve decided to follow your strategy of reselling Blu-rays to reach the 100 transactions required to get to TRS status. My question is what is the best way to list these items when selling them? I.e. Auction vs BIN, free postage vs postage at £1.26 etc. Looking at completed and sold listings there is a bit of uncertainty as to which is the best method. 2. I have been using eBay recreationally for a decade now, and have sold quite a few items around the house and have 100% positive feedback of around 250. This seems to me like a potential boost for an eBay business right from the start. However, if I decide to go ahead with my eBay business idea it seems inevitable that I will have to switch to a business account. Is this something I should be concerned about, because it seems that there’s no going back to a private account once you do make the switch? What if in the future I decide to ditch my business and want to keep using eBay privately? I don’t want all my hard-earned feedback to go to waste. Would it be prudent to start a new eBay account specifically for business purposes? 1. There are no strict rules on this, and really you can use either method. I usually recommend using auctions IF you’re in a rush and need to get some sales in ASAP, as with £0.99 auctions you’re basically guaranteed to sell every item within 7 days (or even 3-5 days, if they’re popular titles). The downside is that you of course have less control over the price and may not get the exact amount that you want, in comparison to BIN listings. If you don’t need to rush this, you should probably go with BIN listings. You may want to price your listings a bit below the market’s average to get sales in quicker OR you can go with market price and just be more patient. In both scenarios, I would definitely recommend using free shipping as that helps greatly with your listings’ search positions. 2. Yes, once you upgrade your private account to Business, there’s no going back – you can’t later revert to a private account. 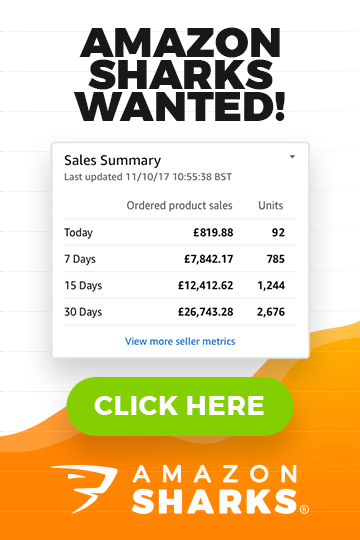 But I can’t see any problems with this – you should definitely use your current account with 250 feedbacks to start a business as all those feedbacks will help you get sales! 250 feedbacks is quite a lot and helps boost your credibility. If for any reason you drop your business, you can simply start a new private account and use that for personal purchases/selling. Your feedback count really isn’t that important when you sell used, personal belongings, and with buying it doesn’t affect you in any way at all. I hope you are doing well. 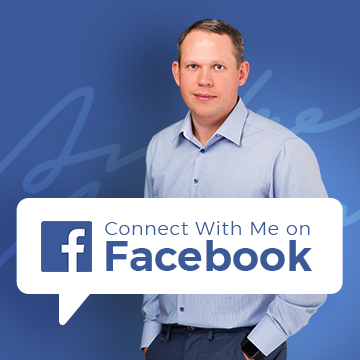 I had some problems leaving a comment on one of the posts on your blog, so decided to instead message you directly – I hope that’s fine and that I receive a reply from you this way. I am very concerned about it because it’s my first order online. I posted a quote request on Alibaba a week ago for iPhones and this company contacted me. But after doing some research I found out that they deal in LED lights and similar products. I asked the guy I am speaking with to send me some pictures of the phones along with the payment invoices. He did send me the pictures as well as their company license. He also says he accepts trade assurance but cannot for these items as they aren’t company authorized. He wants me to pay through Western Union. I asked for some customer references and he said they cannot give that information out. After I insisted he just told me some customer’s names and addresses but he also told me not to try and contact them as they’d be angry that he gave out their information. Lastly, the delivery is supposed to be via DHL and will cost $41. The iPhone 5Ss cost $255 and for every 3 purchased I will get 1 free. So please help me Andrew, is he a scammer or an honest seller? It’s a 100% SCAM!!! Don’t even think about sending any money to that person. It’s a SCAM!! First of all – you have to always remember that you can’t get genuine iPhones and similar branded electronics in wholesale from Mainland China, it’s just not possible. Secondly, the price he gave you – $255 for an iPhone 5s – it is simply ridiculous! You wouldn’t get that price even if you were ordering 100,000 units directly from Apple! Thirdly – Western Union – if it’s the only payment method a supplier will accept, that’s a sure sign that something dodgy is going on. Lastly – the buy three get one free deal! Again, it is simply too good to be true and would NEVER happen with a genuine supplier. So taking this all into consideration, there’s no way this deal could be legit. NO WAY! What has most likely happened is someone from that company, which looks genuine by the way, has used the Alibaba account of the company he works for to try and scam people. Of course this is without the company’s knowledge. It’s a scam, as simple as that. Just stay away from Alibaba altogether if you’re looking for wholesale iPhones and other branded electronics. I have had a lot of communication with one particular supplier in China and I am now ready to order some samples. There are just a few niggling questions that I have in the back of my mind that I would like some clarification/advice on please? The company that I’m dealing with appears to be a trading company rather than a manufacturer. I have checked them out on Google etc. and all seems okay so have I any reason to steer away from dealing with a trading company rather than the manufacturer – would there be any risks attached? My first order will be a fairly significant one in terms of monetary value so I definitely want to arrange an independent quality assurance check before the products are shipped out to me. Can you recommend a particular company for this? I know you’ve indicated roughly $120 for this type of check. My first order would be around 1500 products. What is a reasonable price for a quality check on this many items (assuming it’s a random check)? Do they test parts are working and to specification? Should I be looking at designing a product label with CE markings, or should the products be supplied to me with all the relevant labels on (the products I am looking to import all conform to EU standards)? I have read that when dealing with China, they do not offer any real warranties (even though they might say they do). Is it advisable to draw up a compensation contract to cover myself if products are faulty or do not arrive as specified or am I just over complicating matters considering I plan to have a quality assurance check done. There are some risks associated with dealing with trading companies, yes, mostly related to the consistency of the product from one order to another. As when you deal with a specific manufacturer, you know that the products you order come from that company and that company alone. With trading companies you never really know where they source the products from. It could be that all is well with your first order and then suddenly for the next order they decide to send you lower quality goods. This of course could also happen when you deal with a manufacturer, but it’s a much more common occurrence with trading companies. Also, at the end of the day a trading company is a middle-man, which always means more complications if things go wrong. I’m not saying that all trading companies are bad, not at all. There are many who have great relationships with manufacturers and there are no problems whatsoever. But I’m just thinking – if it’s a large order, why are you using a trading company in the first place? Why not go directly to a manufacturer? As trading companies are usually used when you can’t afford high MOQs. So if at all possible, I would re-consider your strategy and maybe look for a manufacturer you can work with directly. They can do ANY test that you want really, including testing parts, functionality, materials etc. etc. You will want to contact them and find out how many products they can check for you, following your guidelines, in one man day ($103). You can always pay more of course and get more products checked. CE marking – usually suppliers/manufacturers will add small CE labels to products that comply with CE regulations (and even ones that don’t!). But if you need a more detailed label or a product brand label, you can of course get this done in China – it will be cheaper and easier than sorting it out at your end. Most suppliers can label or re-pack products to your specification; you just need to ask them about the different options and the cost involved. Warranty – yes, it’s true that Chinese suppliers are not obligated to provide any warranty, per se. But a good manufacturer, interested in long term business, will provide Dead on Arrival (DOA) warranty as a minimum, and many also offer a one year warranty for electronics. Again, this is an instance when a trading company complicates things as with a manufacturer you’ll have a contract in place that states exactly what happens with DOA and defective items and how they are replaced or refunded. First of all, I would like to thank you for all the wonderful information you put together to help us building our own businesses. I have a question about selling internationally and reaching TRS on multiple EU eBay sites. Me and my girlfriend recently moved from Germany to the UK. We have started selling products on eBay UK following the business model you teach and we are working towards TRS and everything is going very well. However, we have some stock left in Germany (selfie sticks) that we have been selling through Amazon.de, but our sales are slowing down lately. We have come up with the idea of getting our stock back from Amazon and selling what’s remaining on Ebay.de using our UK Seller Account in order to reach TRS status on Ebay.de too. Our plans are to build a strong account and get ready for Christmas or next summer’s sales. We have some family and friends who can take care of shipping, which makes things a lot easier. We are calculating that with the selfie sticks we could make about 70 sales, but we still won’t reach the €1,000 necessary for TRS. We still have some used items in Germany, like a 55″ TV, kitchen appliances, etc., which we were thinking of selling as well. We are trying to get come up with the best solution for our current situation, and considering that we are currently losing money on Amazon, it seems a good idea to sell the stock we have left to help work towards becoming TRS. Our only concern is if eBay will consider it suspicious that our main account is based in the UK but we sell such big quantities of items locally in Germany, some of them being quite large as well. We are very cautious about doing things right and avoiding any problems with eBay, seeing as we plan to sell in high volume in the future. I am sorry for asking you such a complicated question, but would really appreciate if you could give me your opinion on this. I can’t see any problems with this strategy, really. There are no eBay rules that forbid you doing something like this. And if you can get 70 sales from selfie sticks, I’m sure you’ll make up the rest selling off those more valuable items and if at the end you’re still slightly short in sales volume, you can always sell off some used Blu-rays to make up the difference. I really hope these questions were interesting and my answers will help other people to avoid some of the common mistakes made by eBay sellers. And especially ones about iPhones advertised on alibaba.com! I can’t believe how many times I have already covered this topic in detail but still – almost every week I receive emails similar to the one Deeva sent me! And these are only the people who actually get in touch with me – God know how many other people fall prey to these scams; probably hundreds if not thousands. Anyway, I’m doing my best! Have a great weekend everyone & I’ll be back on Monday with the eBay Seller Update post, and then on Wednesday I have a guide on importing children’s products from China to the EU! are the customers reviews and sellers feedback on Aliexpress.com accurate? Example: Customer reviews: 97% – Seller Feedback: 96%. Can Aliexpress.com be used as a reliable dropshipper platform if you choose the right supplier ofcourse? Can you give me a link for that product? You mean – using Ali Express as a dropshipper for eBay? That would be way, way too risky… I would never do that! yes I mean using Ali Express as a dropshipper for eBay/Ecommerce shop. You do not recommend any Chinese dropshipping sites in general as I understood?